So, How Those Nintendo Machines Doing, Huh? Those Games? Throughout its history as a game company, Nintendo has released an impressive array of game machines. Have you ever thought, hrm, I wonder how said game machines are doing? Let's find out! Nintendo recently released worldwide lifetime sale data for its game machines as well as for its games. 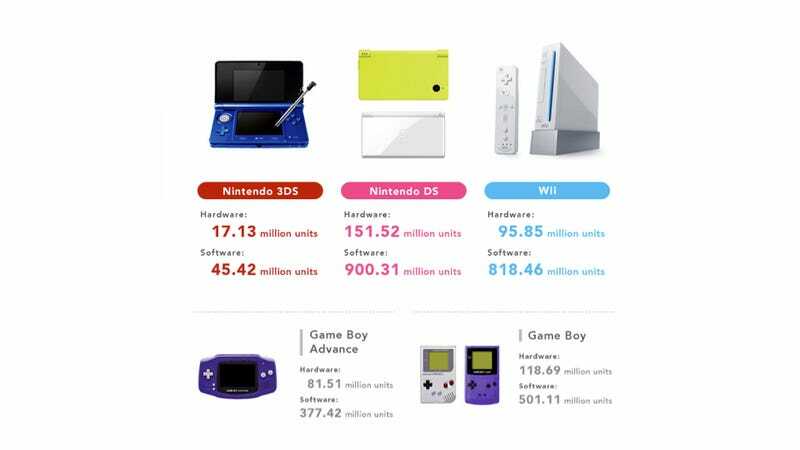 The data is of March 31, so you'll have to image how Nintendo has done since them.